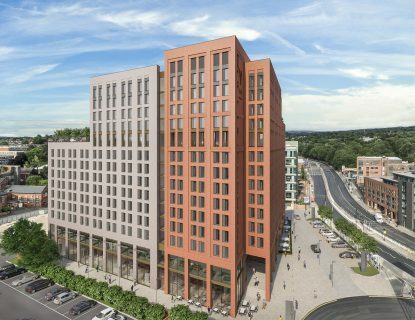 This proposal for a series of retail units with student accommodation above will form a significant building on the junction between Ecclesall Road and the city centre. 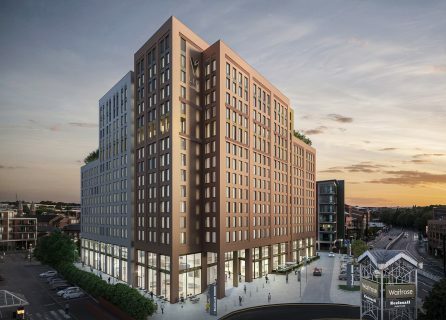 Using a more traditional and restrained palette of materials and simple brick detailing this scheme will deliver a crafted tactile building on this prominent location in Sheffield. Providing 3000m² of retail space and over 500 student bed spaces, and a large amount of student common room facilities with city views and roof terraces. There is a focus on providing work space as well as leisure space though out the building. 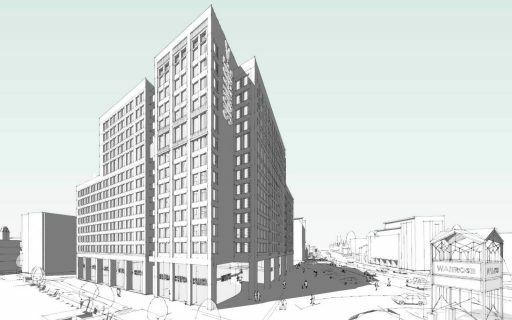 This development will set a new standard for education focused living in this evolving market.